There are some great Holiday Happenings in Folsom this weekend, and they’re bound to get you in the spirit of the season! 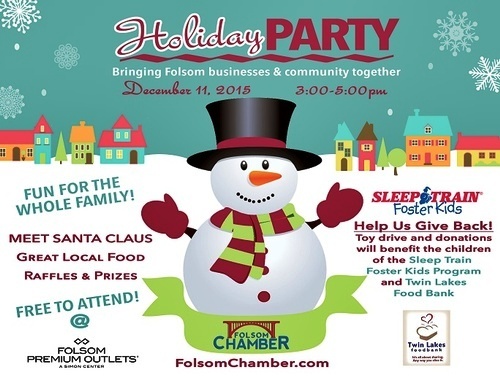 Friday, the Folsom Chamber of Commerce, along with the Folsom Premium Outlets is hosting a Community Holiday Party, to benefit the Sleeptrain Foster Kids Program and the Twin Lakes Food Bank. Free food and drink, including Hot Chocolate Bar, a visit from Santa, and great raffle prizes and gift card prize give-aways every 15 minutes.